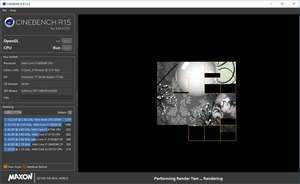 Cinebench is a hardware test suite which was designed to test the performance of your PC. It tests the CPU and the graphics adapter. Be it Ryzen, Intel, Nvidia or AMD, it's powerful. The program itself was designed by MAXON, a company which has been involved in several animated movies with its CINEMA 4D software. Version 20.0.4 is a freeware program which does not have restrictions and it's free so it doesn't cost anything. For security reasons, you should also check out the Cinebench download at LO4D.com which includes virus and malware tests. Additional screenshots of this application download may be available, too.